There’s a series starting up on Friday, July 2nd that I think you won’t want to miss. It’s The Great British Baking Show. Maybe you’re familiar with it already, if not check it out. It’s set in the British countryside and is a contest between a dozen amateur bakers who are tasked each week to produce cakes, breads, pastries, deserts; all the things that make up a sumptuous Afternoon Tea. 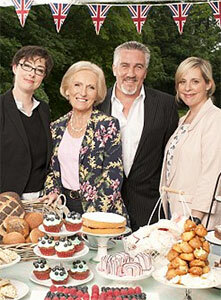 Each week the bakers’ efforts are judged and each week someone is eliminated from the competition. At the conclusion of the series, one baker is crowned winner. The show airs at 9:30pm every Friday on MPT. "Cake" features quite predominately in many of our Afternoon Tea shows - whether it’s Hyacinth ordering fresh cream cakes for her tea with the new vicar in Keeping Up Appearances, the cook in Lark Rise to Candleford mixing up what was probably a Victoria Sponge, or the "cling film" wrapped fairy cakes Lionel got a telling off by Jean for wrapping individually. 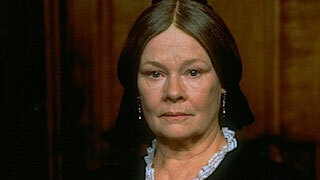 Talking of "Jean"...someone was asking recently what Dame Judi was up to lately. In September, Dench will start work on a film called Victoria and Abdul. The film is about the real-life friendship between the widowed Queen Victoria and the young Indian clerk she befriends after he is sent to London from India to participate in the 1887 Golden Jubilee celebrations. There are no prizes for guessing which role Dench will play in the film. That of Queen Victoria, naturally. 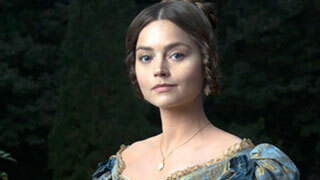 It’s a role she’s familiar with, having played Victoria twenty years ago in the film Mrs. Brown. Victoria and Abdul will be filmed in India, Scotland and the Isle of Wight and is scheduled to be released in 2017. Next year is also when you can see a brand new Masterpiece presentation about Queen Victoria’s teenage years. Victoria will be taking over the Downton Abbey time slot on Sunday nights and stars the diminutive Jenna Coleman as the 4’ 11” royal who ruled for over sixty years. Rufus Sewell stars in the series as Lord Melbourne, Victoria’s first prime minister and intimate friend.